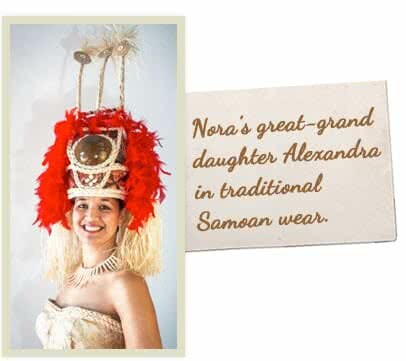 Nora was a Samoan lady who was a young widow. With very little means she still managed to take in and cared for other children alongside her own. Using her skills as an educator she taught them to live well using the land, making the best of natures’ resources. Her gardens were full of fruit trees and vegetables to sustain the extended family, ensuring that each child was fed, clothed and sent to school as if they were her own. The children now live happily in several countries but the values of Nora’s are deeply edged in their lives. 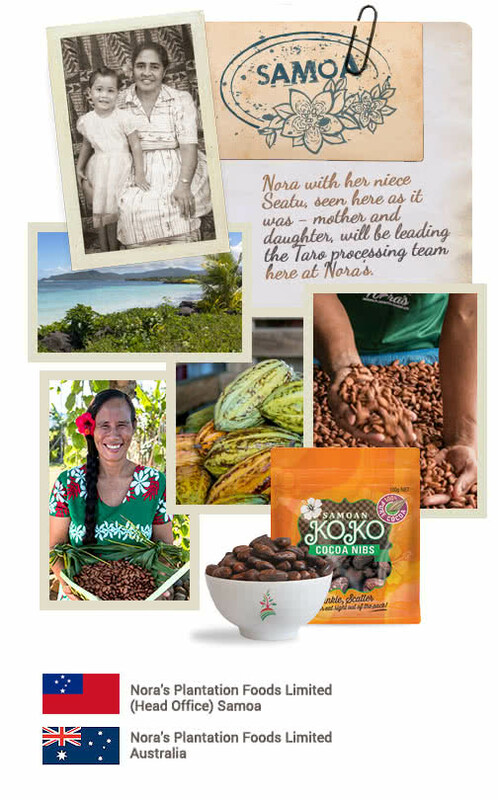 One of Nora’s grand-daughter’s Mona Lisa Karene and her husband John Seedhouse founded Nora’s Plantation Foods, using Nora’s legacy as the foundation of Nora’s Plantation Foods. By offering a consistent market to vegetables and fruit growers in Samoa, this contributes to better livelihoods, allowing families to live together in the comfort of their homes, preserving traditional village customs with the ability to access health services. Each product at Nora’s Plantation Foods represents a plantation and John and Lisa would like to thank Nora’s business Partners and Customers for helping them provide families better lives.